Another day, another data breach. Another Yahoo breach, to be specific. The hack apparently took place all the way back in August 2013 and includes names, email addresses, telephone numbers, dates of birth, hashed passwords (using MD5) and, “in some cases,” encrypted or unencrypted security questions and answers. Plaintext passwords, payment card data, and bank accounts were apparently not compromised. And yes, Yahoo says this is distinct from the 500 million account data breach that was revealed in September this year. However, the company says it has connected some of the activity to “the same state-sponsored actor believed to be responsible” for that previously announced incident. So yeah, if you have a Yahoo account, change your password now, or sign up for the company’s authentication service. Yahoo! 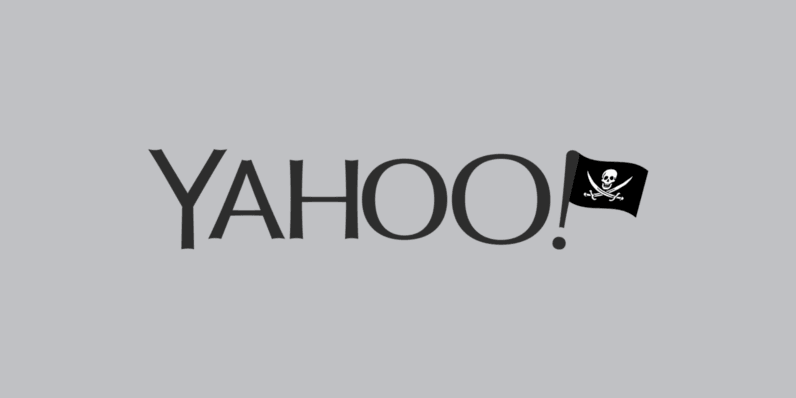 Inc. (NASDAQ:YHOO) has identified data security issues concerning certain Yahoo user accounts. Yahoo has taken steps to secure user accounts and is working closely with law enforcement. Yahoo is notifying potentially affected users and has taken steps to secure their accounts, including requiring users to change their passwords. Yahoo has also invalidated unencrypted security questions and answers so that they cannot be used to access an account. Separately, Yahoo previously disclosed that its outside forensic experts were investigating the creation of forged cookies that could allow an intruder to access users’ accounts without a password. Based on the ongoing investigation, the company believes an unauthorized third party accessed the company’s proprietary code to learn how to forge cookies. The outside forensic experts have identified user accounts for which they believe forged cookies were taken or used. Yahoo is notifying the affected account holders, and has invalidated the forged cookies. The company has connected some of this activity to the same state-sponsored actor believed to be responsible for the data theft the company disclosed on September 22, 2016. Yahoo encourages users to review all of their online accounts for suspicious activity and to change their passwords and security questions and answers for any other accounts on which they use the same or similar information used for their Yahoo account. The company further recommends that users avoid clicking links or downloading attachments from suspicious emails and that they be cautious of unsolicited communications that ask for personal information. Additionally, Yahoo recommends using Yahoo Account Key, a simple authentication tool that eliminates the need to use a password on Yahoo altogether. Read next: Did Trump exclude Twitter from tech summit over emoji debacle?